By: Megan Sabin The MMCRU Remsen Elementary students (grades preschool through fourth) shared some spring spirit to all those who attended their Spring Program called “Possibilities”, which took place on Thursday, May 10 at the Middle School Gymnasium in Remsen, starting at 7 p.m. Preschool, TK and Kindergarten students sang “Wake Me! Shake Me!”, “Big Dreams”, and “I Can Be Anything”. 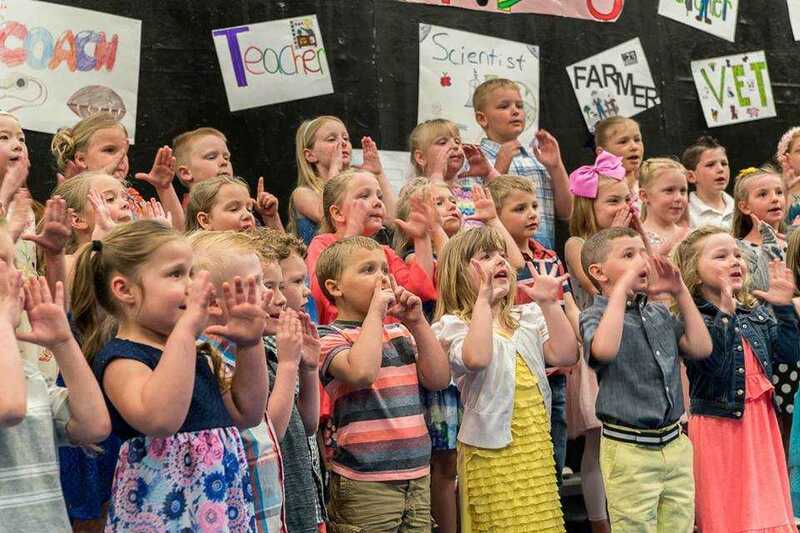 First and Second grade students performed “Supercalifragilisticexpialidocious”, “The Bare Necessities”, and “We Are the People of the 21st Century”. 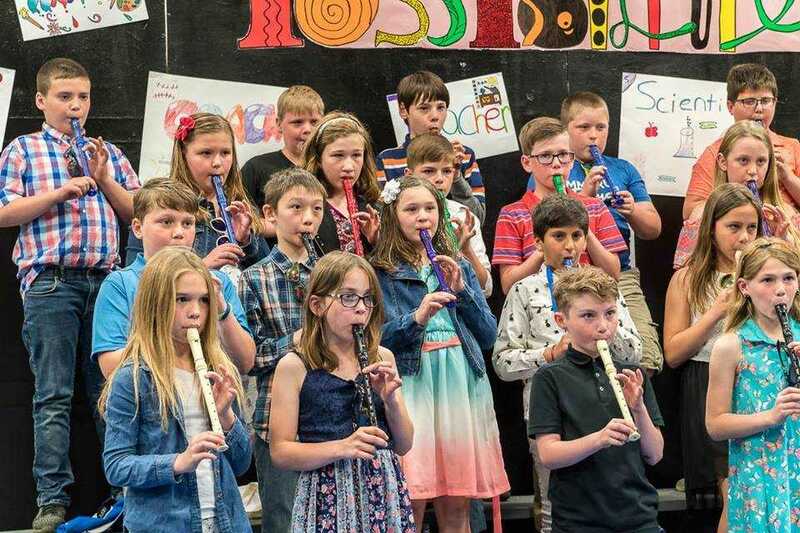 Fourth grade recorders performed “New World Symphony”. 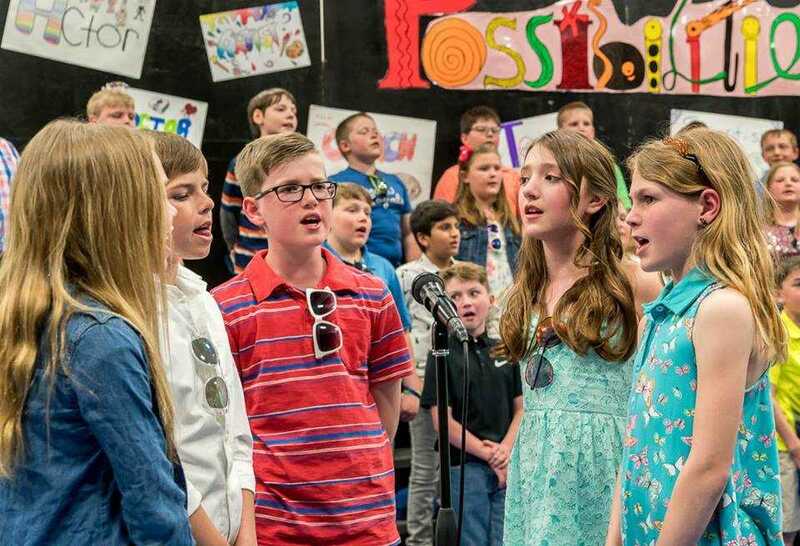 Third and Fourth graders sang “I’m Gonna Be”, “Knowledge is Power”, and “Brave”. 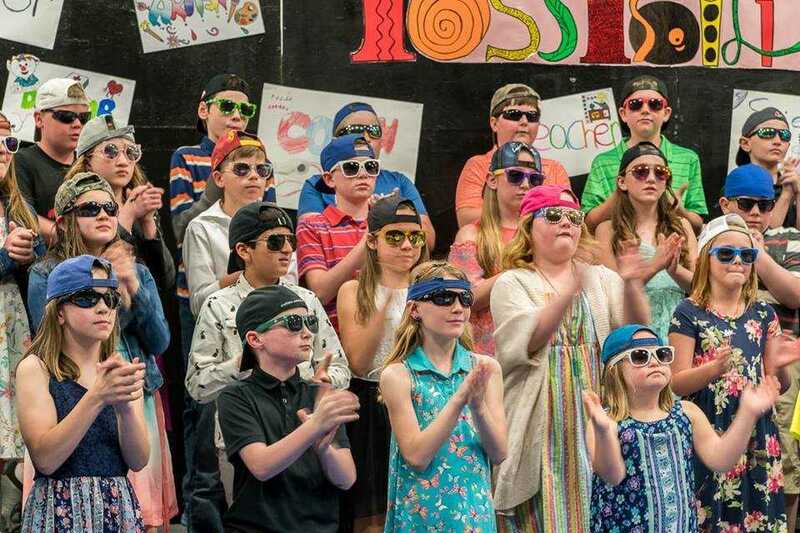 The program ended with the Preschool through Fourth graders performing “Possibilities” altogether. Speakers during the program included the following: Destiny Gunsolly, Kaden Steffen, Conner Nothem, Mikayla Shay, Tenleigh Porter, Cooper Loutsch, Taya Delperdang, Ty Schuttpelz, Faith Spenner, Laiken Bork, Israel Okougbo, Sophia Etter, Jakob Roller, Madi Johnson, Darsh Choda, Kamden Bork, Sadie Youde, Lauren Galles, Katie Merryfield, Tia Tentinger, Conner Galles, Josh Peterson, Erin Thiele, Alexis Gotto, and Mariana Moncada Matute. 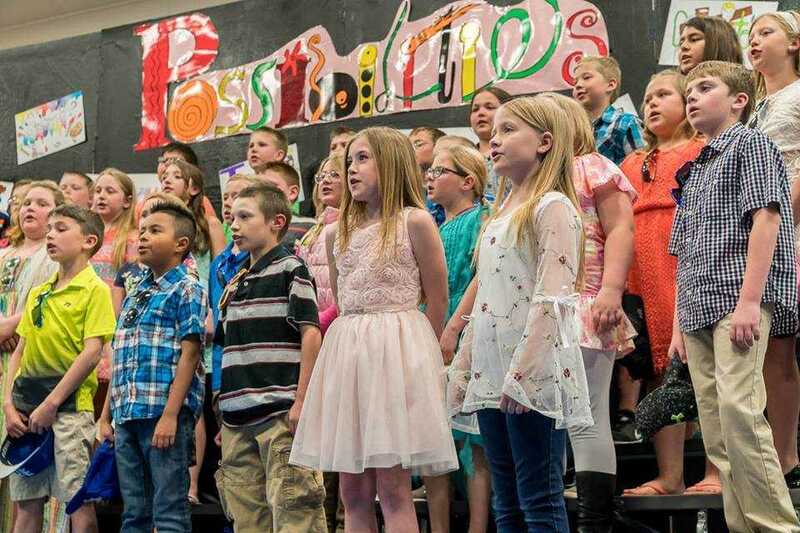 Second grade featured singers included: Thomas McKinney, Taya Delperdang, Taya Grage, Angelique Hurtado, Brooklyn Kliever, Allie Portz, Aiden Shea, and Callie Ruden. 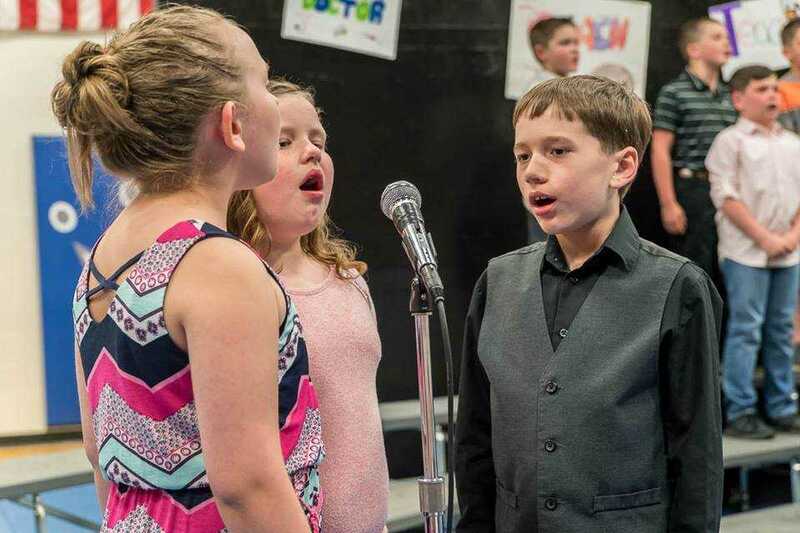 Fourth grade featured singers included: Rylie Spenner, Sadie Youde, Kamden Bork, Anthony Francavilla, Lana Jungers, Lauren Galles, Madi Johnson, Mason Hill, and Destiny Gunsolly. 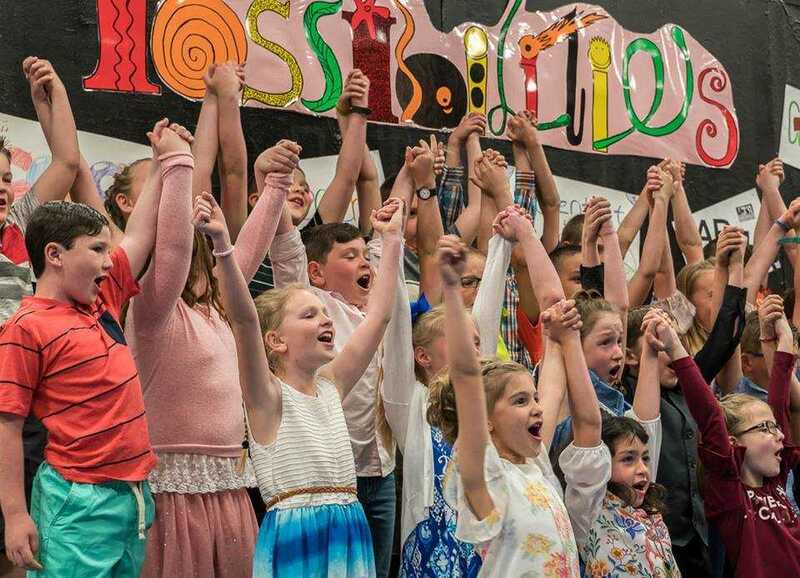 Elementary music director, Mrs. Joan Wilberding, wishes to thank all the teachers and paraprofessionals, the custodial staff, Mr. Young, Paul Wilberding, Terri Garvin, and backstage helpers Carter Astidias and Tomi Jo Sowards.